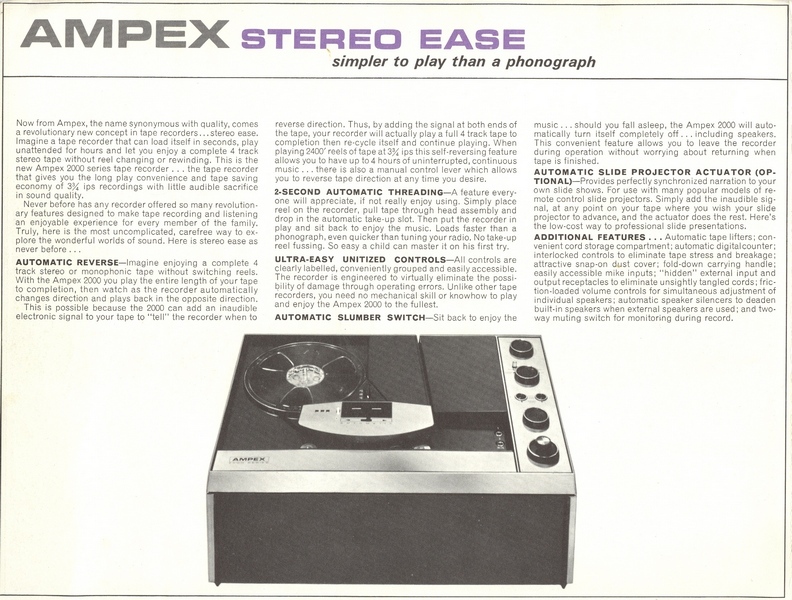 Shown is the first home user model sold to the public. 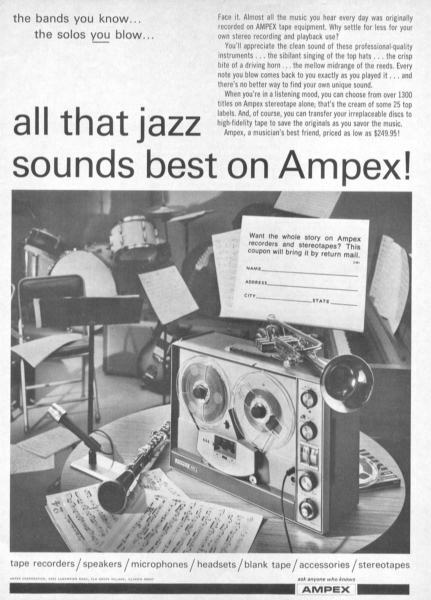 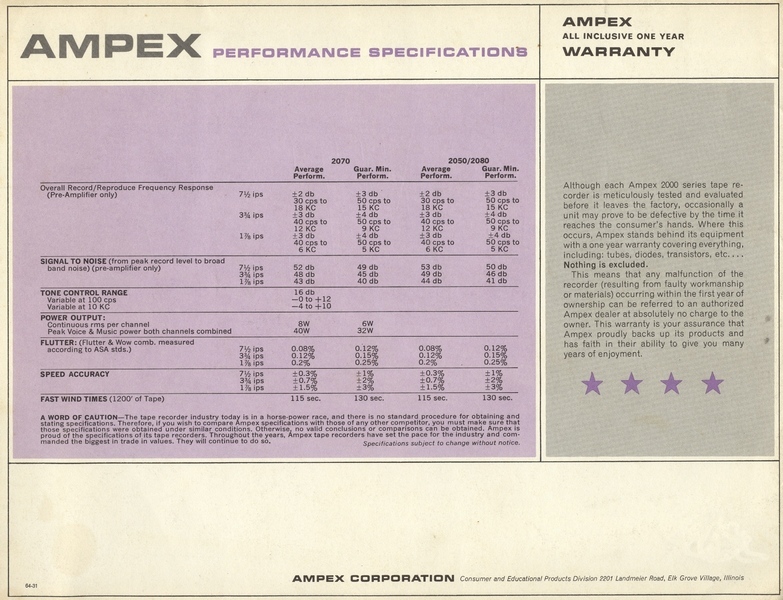 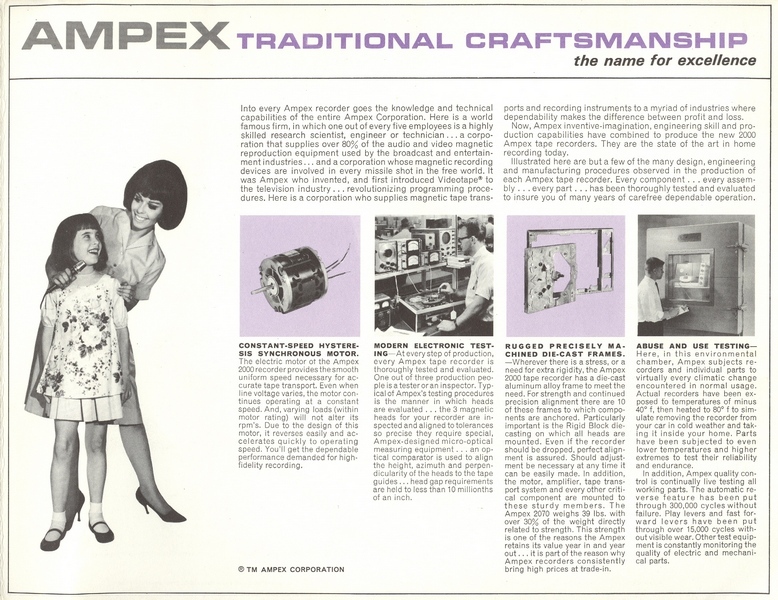 The AMPEX name was derived from inventors name, Alexander M . Pontioff plus "ex" for excellence. 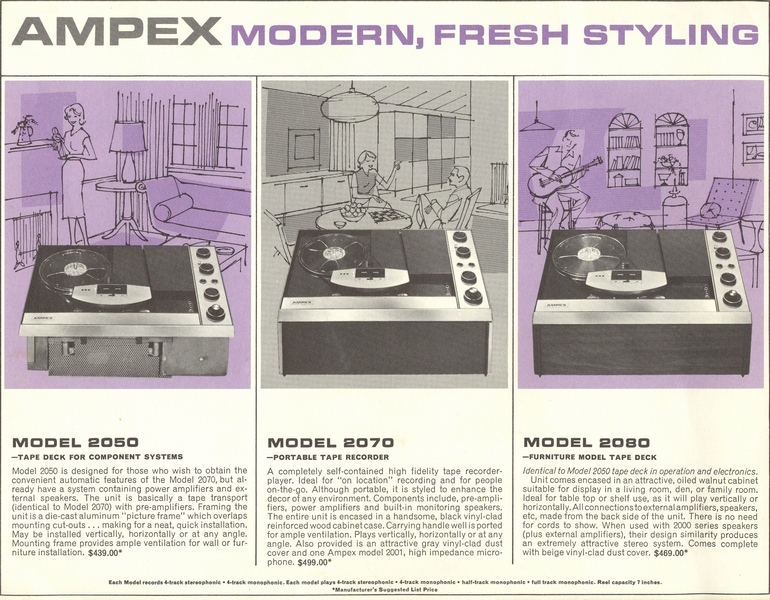 1965 AMPEX-2000 series Home Recorder/Player. 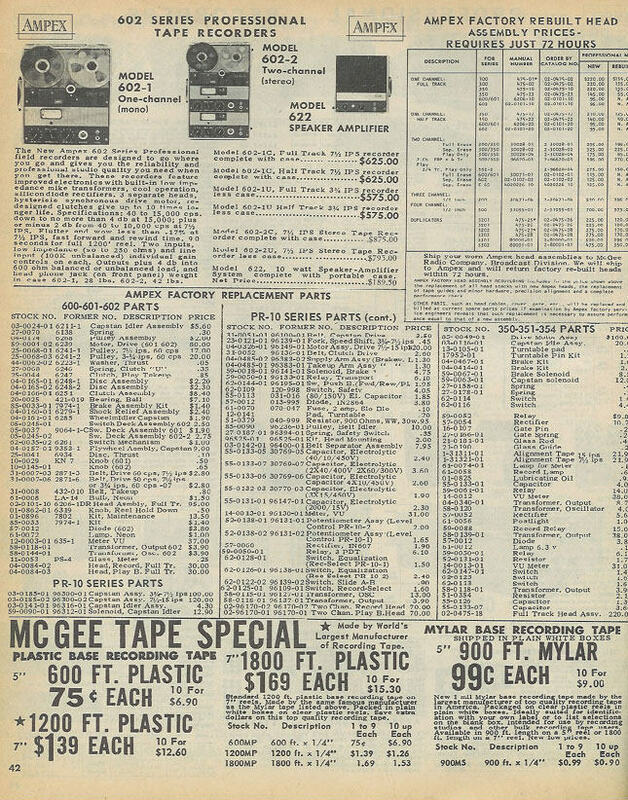 1965 MC GEE Catalog. 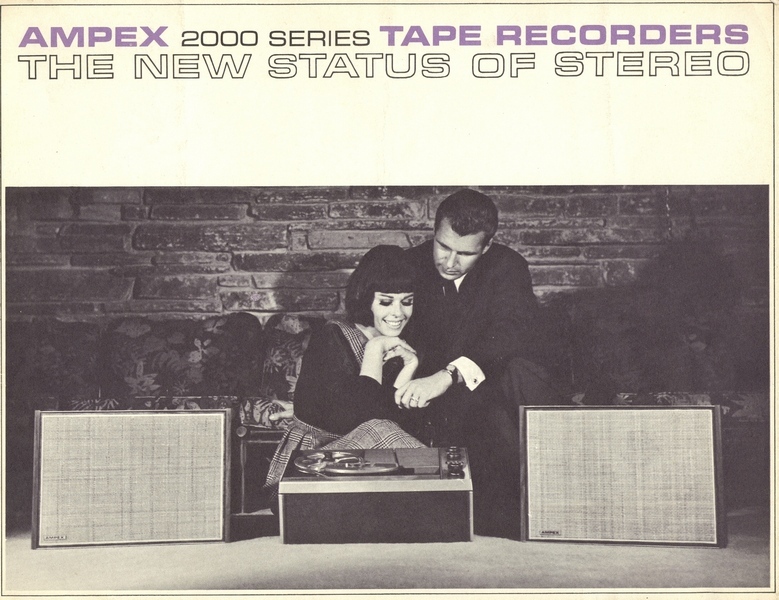 The top of the line home recorder, the first non-professional machine issued by AMPEX was the Series 2000. 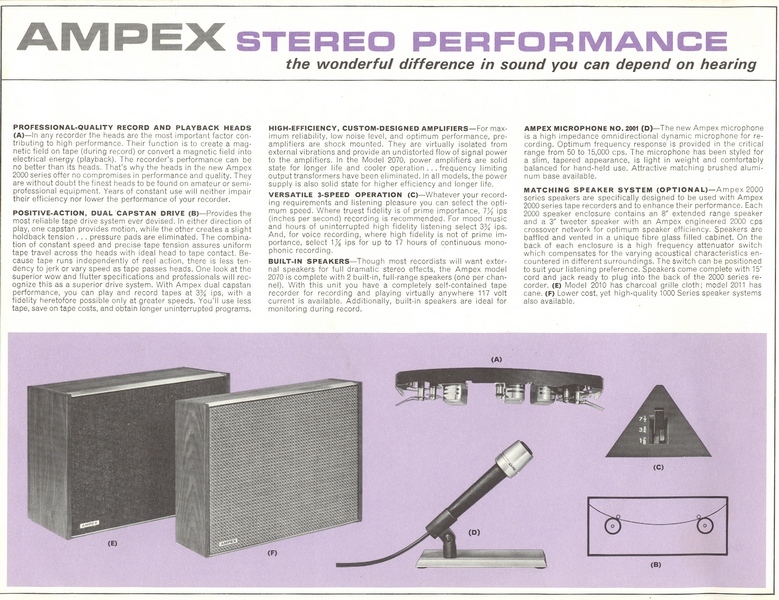 Shown below the 2000 series is the professional portable F-44 "FINE LINE" series. 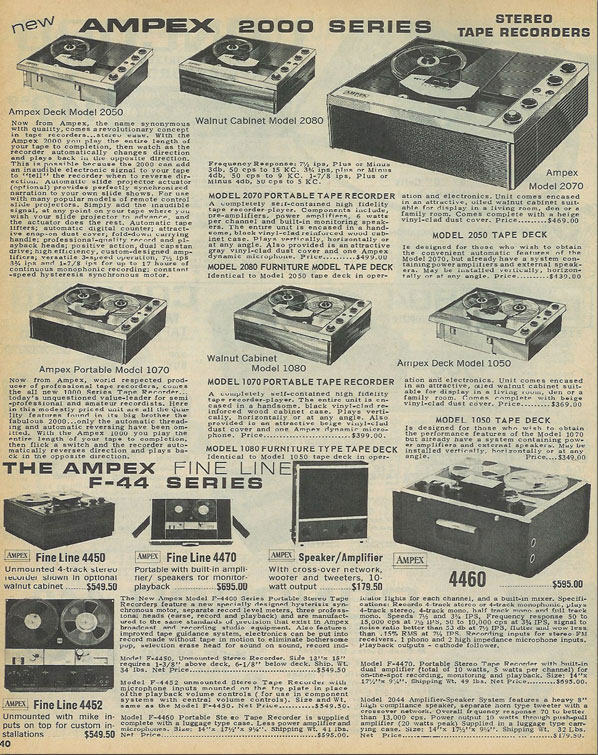 At the top of the second page is the series 602, once found in broadcast and recording studios the world over.